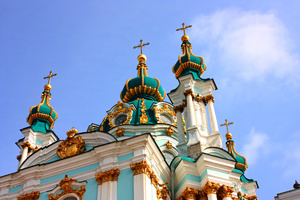 Kyiv is one of the most ancient cities of Slavic world that has been a center for Ukrainian lands for many centuries. 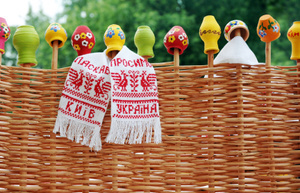 Cultural heritage of Kyiv reflects historic and spiritual achievements of the entire country. It is represented by more than 3 thousand monuments of archeology, architecture, history and monumental art. All this combined with marvelous natural landscapes of Kyiv leaves lasting impression on every guest coming to Kyiv. 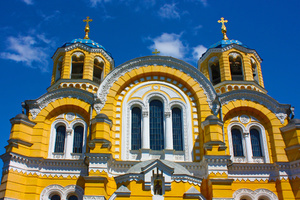 Sightseeing tour with a visit to the St. Sophia Cathedral, one of the most renowned fresco and mosaic art monuments included into the UNESCO World Heritage List. An overlook of the Golden Gates, the main entrance to the medieval city of Kyiv; St. Michael Golden-Domed Monastery, monuments to Princess Olga, Prince Volodymyr, the Baptiser of the Rus', the remains of Church of the Tithe (the first stone church in the Rus'), St. Andrew's Church, a masterpiece of Italian architect Rastrelli. A stroll along the Andriyivsky Descent, one of the oldest streets in the Eastern Europe, also named the Kyiv Montmartre. After the lunch a visit to the Museum of Folk Architecture and Rural Life of Ukraine in the village of Pyrohovo, one of world's biggest skansens, with its authentic wooden buildings, national garments, utensils, furniture and tools of trade of Ukrainians. The Museum hosts a number of annual staged performances. 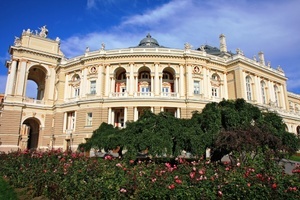 In the evening: a concert in the National Philharmonic or National Opera House of Ukraine. A tour of Kyiv Cave Monastery - Lavra, one of the world's most prominent Orthodox holy sites included into the World Heritage List. 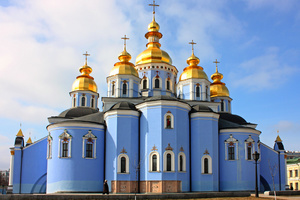 There are more than 40 ecclesiastic architectural monuments and museums on the territory of Lavra. Holy relics of saints that rest in the Lavra caves draw over a hundred thousand pilgrims each year. Excursion to the Museumof Historical Treasures with “Scythian Gold” collection on display. 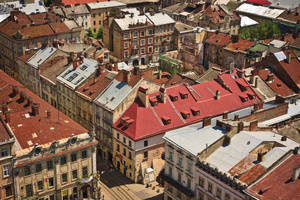 In the afternoon sightseeing tour to the Podil district – once the trade and crafts centre of the ancient Kyiv, located close to the Dnipro river. Visit to theChernobyl museum – the only one museum in the world devoted to the tragic Chernobyl nuclear accident. 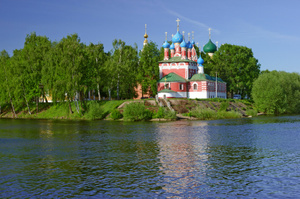 Nice boat trip along the Dnipro river to enjoy marvelous Kyiv landscapes from the river side.